The initial inspiration for this final piece using petri dishes to create an art piece was a mug I forgot about that still have some tea in it. 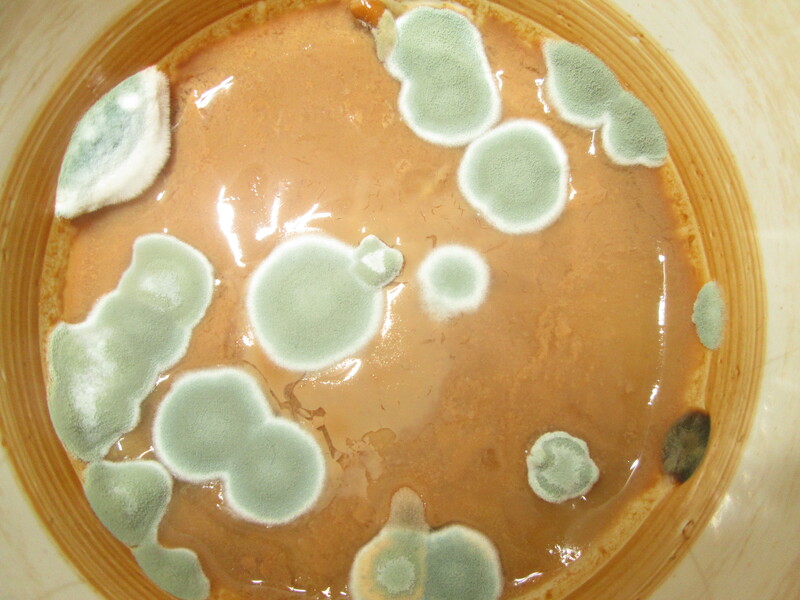 After I eventually remembered about it the bottom had started to mould and reminded me of how a sample in a petri dish sometimes looks. I instantly thought about the more scientific side to things decaying and started to work on how I could incorporate Petri Dishes into an art piece. Below is an image of the mug that inspired this thought. I immediately got hold of some petri dishes and started filling them with things that would decay over time, like bread, milk, yoghurt, tea, juice and combinations of two or more of these ingredients. I wanted to see how they moulded in a dish with little air and different conditions to how I have moulded things before. At this point, I was not really sure how I was going to use these pieces to create an art piece but I was confident that eventually I would. 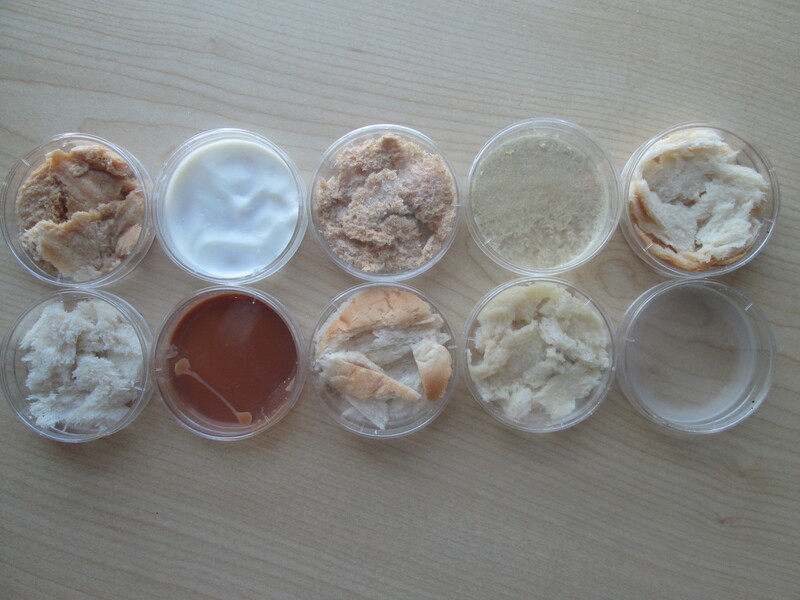 Below are images of some of the petri dishes before and after they have started to mould. Some of them have become very interesting objects and will continue changing over time but I did not feel that displaying these objects alone as art was enough. I decided to paint the inside of some more petri dishes with fake mould to create a juxtaposition between the real and the not real. This idea was inspired by Vija Celmins “to fix the image in memory” which plays with post perspective by asking what is real? 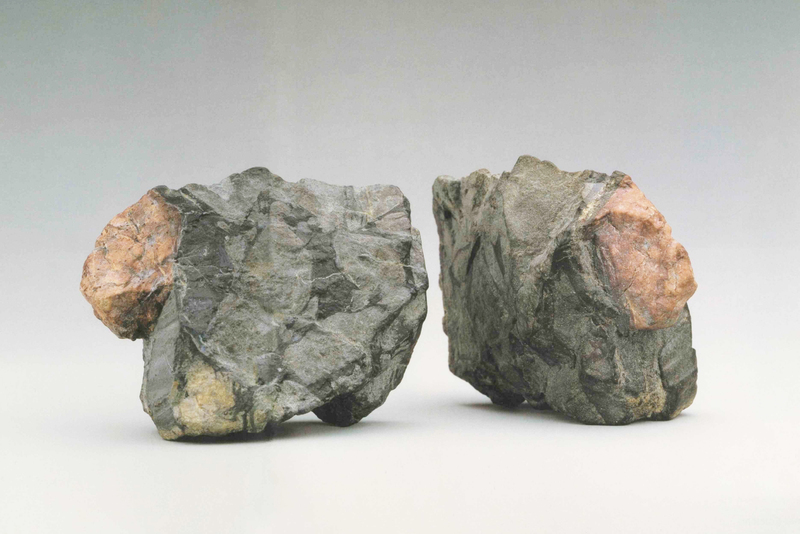 In this work, there are two rocks, one is real and one is an imitation. There is the same principle as a hall of mirrors. This undoes the notion of realistic artwork because we have no idea which one is art. 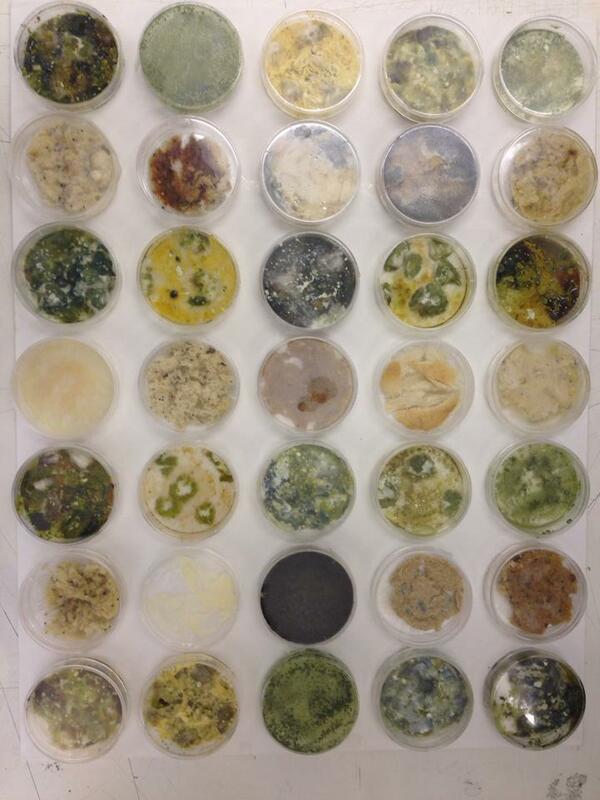 Creating real and fake moulding petri dishes and displaying them altogether does make the viewer ask themselves which ones are art? Are they all art, as one piece? Are the petri dishes miniature paintings or symbols of decay? that is up to you. 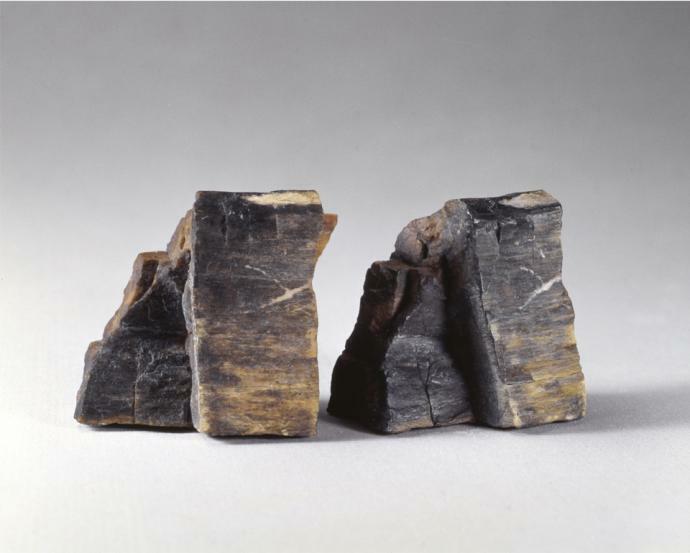 By doing this, I have tried to show a juxtaposition between things changing over time (real mould) and preserving time or capturing a moment in the decay process (fake mould). Interesting things are happening when displaying these two notions together. 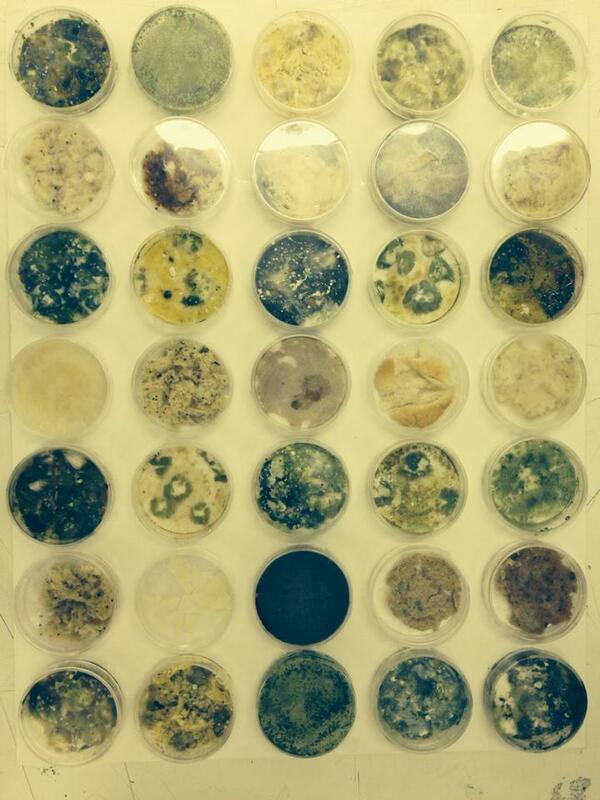 In my opinion the piece that I have created from petri dishes is one of my most successful. The juxtaposition between the real and the fake within decay is something I have explored over and over throughout the project and I feel that this piece sums up my findings accurately which is why I chose to display it as a final outcome. Also, it almost bridges a gap between science and art and I like how it looks aesthetically. It will be interesting to see how the real Petri dishes mould over time and how they look in relation to the ones I have painted. It is interesting that this final piece will continue to decay.